The idea behind Bar Bruno is very simple; every neighborhood needs a place to meet, hangout and be able to enjoy simple delicious cooking at moderate prices. 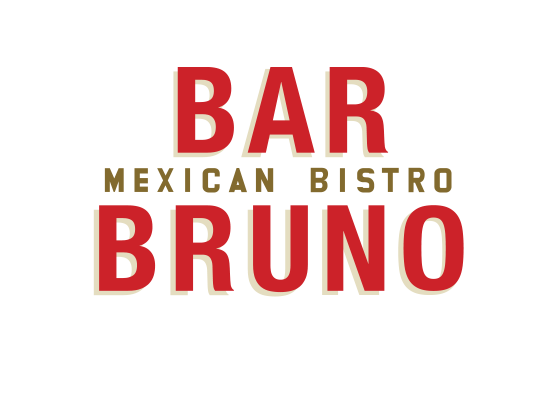 Modeled after European & Mexican Cafeterias and Bars of the 1960’s, Bar Bruno strives to evoke a time when life was simpler, food was honest and the neighborhood café served as a meeting point where people could drop off keys, read the paper, discuss life and enjoy the laid back atmosphere of Carroll Gardens Brooklyn. The food is Mexican with a touch of NY Bistro classics, a great burger, spicy mussels and fries or a delicious pan-fried chicken. To sit in our sidewalk café and enjoy a fish taco with a cold michelada or a hibiscus margarita is our idea of an enjoyable afternoon. Bar Bruno has delivery service as well as pick up service. Homemade desserts, excellent coffee from La Colombe and quality ingredients. These are the elements of what every ideal neighborhood restaurant should offer its guests. Friendly people, fair prices, great music and good drinks.